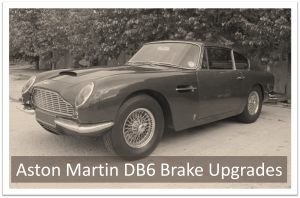 The Aston Martin DB6 shares its brakes with the earlier DB5 and is fitted the improved Girling calipers. However, the brake discs on both the DB5 and DB6 remained solid. 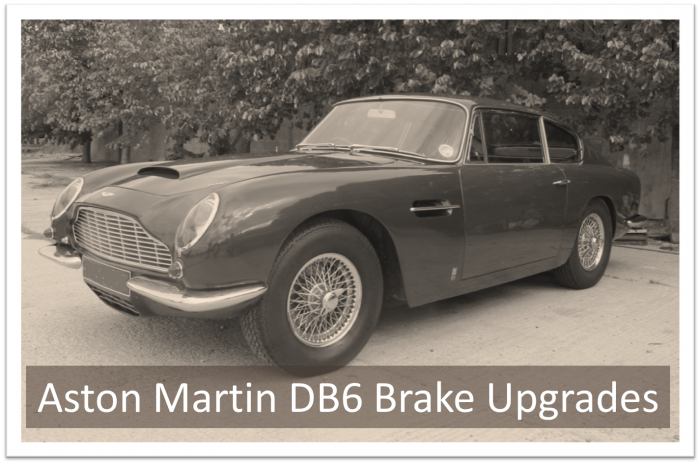 In response, Fosseway Performance has developed an Aston Martin DB6 brake upgrade kit to allow you to enhance your Aston Martin DB6 brakes. Like all our products, the kits can be installed without permanent modification to the car and the calipers are carefully sized to ensure they remain compatible with the existing brake master cylinder and servo assembly. All kits are supplied with braided stainless steel brake lines.